Are Zero VOC Paints The Best Paint Option For Your Health? To understand what zero VOC paints are you must first understand what ordinary paints are composed of. In your standard paint, there are chemicals referred to as volatile organic compounds. Until a recent government regulation of these chemicals, they were the standard for use in paints for the simple fact they make the paint perform better. Now that regulations are in place and the demand for greener, less toxic paints is high, companies are starting to manufacture paints that are without these chemicals. We also have an in-depth article which discusses fast toxins and odor removal from paints if you end up with an option other than a zero VOC paint. There are pros and cons to zero VOC paints versus paints with VOC’s. More notably, zero VOC paints do not release chemicals or toxic gasses into the surrounding area and they do not leave a lingering wet-paint stench. This is a benefit for those who are overly sensitive to chemicals but it’s also generally beneficial to those who work around paints on a daily basis as it will prevent the many health hazards that come with standard VOC paints. Zero VOC paints are especially recommended for those painting indoors or in a closed off setting as typical paints will build up in the enclosed area that may lead to serious health complications over time. 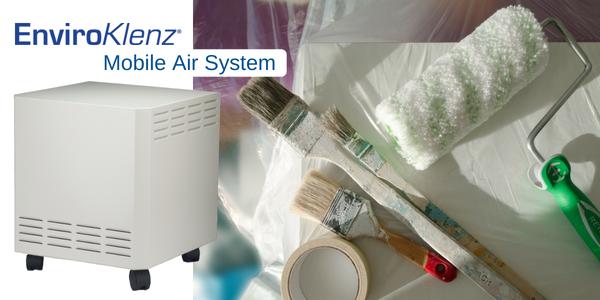 Inhaling the fumes of volatile organic compounds found in your typical paints can result in a number of symptoms including headaches, nausea, and even vomiting if enough of these toxins are taken in. Needless to say, they are dangerous and present risks to your health that can otherwise be prevented with zero VOC paints. They are also typically water-based and make cleaning up easy. It’s easy to disregard the mess airborne fumes make of your lungs and even liver when inhaled, but it’s a reality. Cancer, liver, and breathing complications are an all too real issue when dealing with the chemicals of ordinary paints. This is why the standard is quickly becoming zero VOC. You also don’t need to worry about chemical pollution of zero VOC paints if spilled onto the earth as they are easy on organics. Keep in mind that just because a paint is labeled as a zero VOC paint, doesn’t mean it doesn’t contain any harmful chemicals. In fact, the colors and dye’s used in zero VOC paints still do, although they do not emit gasses that linger in the air as typical paints. Zero VOC paints may also dry faster than typical paints despite their water-based composition, but this is depending on the brand you choose and their quality. You may think there are many limitations to an alternative paint, especially in regards to surfaces you can paint on but that’s not the case. Zero VOC paints can be used to paint on virtually any surface that standard paint can. Do keep in mind that if you add any compounds to zero VOC paint such as thinners or colorants you are likely raising the VOC level thus making it a low VOC or standard paint. Considering the health benefits of zero VOC paints, it’s easy to overlook the slight color and alteration limitations if you want a very specific tint. 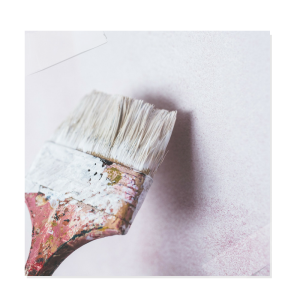 Even if you’d like to mix your paint slightly to match a specific color, you are still working with low VOC and will drastically reduce the amounts of chemicals in the air and on your furnishings. This means a safer, cleaner environment overall.